Wilfred Harris Lavender, known as Billy, was born in Penistone on the 16th November 1893 and baptised in St John’s Church on the 22nd December. He lived with his family on Sheffield Road, Penistone but later moved to Grimesthorpe road, Sheffield. His Father worked at Atlas Steelworks. On 21st August 1912, aged 18, Billy took on a Sheffield University apprenticeship, becoming a student teacher at Sheffield Central School. 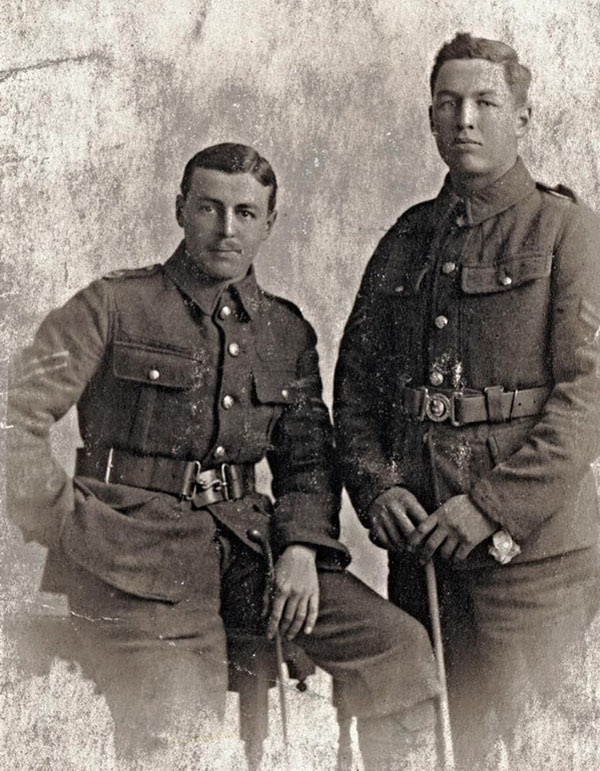 Billy signed up with three of his brothers on 11th September 1914, the 2nd day of enlistment. He was promoted to Corporal 17 days later. After arriving at Penkridge, Billy was promoted again to Lieutenant Seargent on the 11th May 1915 and finally to Searjant on the 27th July 1915. Like the rest of the Battalion, Billy went to Egypt and didn’t get to France until March 1916. On 10th April 1916 whilst on active service, Billy failed to salute the Brigadier, General Carter Campbell. This was disobedience of general orders and he was severely reprimanded. Billy was killed on the 1st July 1916 on the first day of the Somme offensive. His body was never recovered and could still be there today. He is named on the Thiepval Memorial for the missing. His brother John Eliott Lavender (known as Jack) was killed at the Battle of Arleux on the 28th April 1917 and is named on the Arras Memorial.